Through May 28, check website for times. The long-running Broadway rock opera based on the Gospels’ account of the last days of Jesus, written by the legendary writing team of Tim Rice and Andrew Lloyd Webber. Paramount Theatre, 23 E. Galena Blvd., Aurora (630) 896-6666, paramountaurora.com. May 12, 7:30 p.m. An American multi-instrumentalist, songwriter and record producer, Rundgren has produced a diverse and eclectic range of recordings as a solo artist and a member of the band Utopia. Arcada Theatre, 105 E. Main St., St. Charles, (630) 587-8400, oshows.com. May 13, 8 p.m. Former members of ELO and Electric Light Orchestra Part II regroup to create the sort of spectacular symphonic rock for which they are unequalled. Arcada, St. Charles, (630) 587-8400, oshows.com. May 13-June 5, check website for times. This world-premiere comedy tells how the Scanlons family’s annual Cape Cod vacation is even worse than usual. Steel Beam Theatre, 111 S. Main St., St. Charles, (630) 587-8521, steelbeamtheatre.com. May 14, 7 p.m. Their show spans three decades of music that include Jim Peterik’s catalog of Top 40 hits. Metropolis Performing Arts Center, 111 W. Campbell St., Arlington Heights, (847) 577-2121, metropolisarts.com. May 14, 8 p.m. Since 1977, at the dawn of the punk movement, the Misfits have created a legacy of musical aggression and rebellion that has truly withstood the test of time. Arcada, St. Charles, (630) 587-8400, oshows.com. May 15, 2 p.m. Elgin Symphony Orchestra performs works from folk music traditions of Central America, Africa, Asia and more. Gail Borden Public Library, 270 N. Grove Ave., Elgin, (847) 742-2411, gailborden.info. May 15, 3 p.m. & 7 p.m. Two gala concerts feature nine incredible ensembles and shows how far they’ve come in 40 years. Hemmens Cultural Center, 45 Symphony Way, Elgin. Tickets: ESO, (847) 888-4000, elginsymphony.org. May 15, 3 p.m. This Jefferson Award-nominee is a powerhouse performer combining Broadway-caliber talents in singing and acting. Norris Cultural Arts Center, 1040 Dunham Road, St. Charles, (630) 584-7200, norrisculturalarts.com. May 19, 7:30 p.m. Mark Bettcher and the Reunion Jazz Ensemble, featuring jazz trumpet legend Marvin Stamm, provides an evening of exciting and adventurous music with the Elgin Symphony Orchestra. Hemmens Cultural Center, Elgin. Tickets: ESO, (847) 888-4000, elginsymphony.org. May 19, 7:30 p.m. Paul Anka became famous in the late 1950s, 1960s and 1970s with hit songs like “Diana,” “Lonely Boy,” “Put Your Head on My Shoulder” and “(You’re) Having My Baby.” Arcada, St. Charles, (630) 587-8400, oshows.com. May 19-June 3, check website for times. This famous musical centers around a group of artists trying to make it in New York during the height of the AIDS epidemic and the struggles they face, both professionally and personally. Metropolis, Arlington Heights, (847) 577-2121, metropolisarts.com. May 20, 8 p.m. Having created “one of the 50 greatest prog rock albums of all time,” Stawbs has emerged from the mid-1960s British folk movement to blend rock, folk, Celtic and ambient music for audiences of the past 25 years. Arcada, St. Charles, (630) 587-8400, oshows.com. May 20, 8:30 p.m. Now in its eighth season and selling out almost every event, Lucy’s Comedy Cafe is one of Raue’s longest-running programs and the cornerstone of its comedy programming. Raue Center For The Arts, 26 N. Williams St., Crystal Lake, (815) 356-9212, rauecenter.org. May 21, 8 p.m. An ingenious Americana mix of blues, folk, classical and wry wit, joined by Sue Demel. Woodstock Opera House, 121 Van Buren St., Woodstock, (815) 338-5300, woodstockoperahouse.com. May 21, 8 p.m. Carmine and Vinny Appice are joined by special guest Michael Angelo Batio for a sibling battle of sensational playing abilities. Arcada, St. Charles, (630) 587-8400, oshows.com. May 21, 8 p.m. Buddy Hackett’s son Sandy and his crew of crooners bring the boys’ timeless Vegas show as a re,omder that the Rat Pack is still one of the hottest acts around. Paramount, Aurora, (630) 896-6666, paramountaurora.com. May 21, 8 p.m. A unique multimedia entertainment event featuring the live music of Ricky Nelson’s hit songs performed by his twin sons, Matthew and Gunnar. Raue Center, Crystal Lake, (815) 356-9212, rauecenter.org. May 22-29, check website for times. With more than 90 years in show biz between them, Donny & Marie bring their catalog of chart-toppers like “Puppy Love,” “Paper Roses,” “A Little Bit Country, A Little Bit Rock N Roll” and countless more. Paramount, Aurora, (630) 896-6666, paramountaurora.com. May 22, 2 p.m. Those Were the Days Radio Players’ show re-enacts Orson Welles’ broadcasting of “War of the Worlds” using the original 1938 script, with live sound effects and original music. GBPL, Elgin, (847) 742-2411, gailborden.info. May 24, 7:30 p.m. See a showcase of talent and support the NISRA performers. Hemmens, Elgin, (847) 931-5900, hemmens.org. May 25, 7 p.m. Mr. Blotto, along with Thadeus Project, anchors 2016’s Nightsphear All Star variety concert showcasing the brightest and best Chicagoland talent discoveries. Arcada, St. Charles, (630) 587-8400, oshows.com. May 25, 7 p.m. The son of Led Zeppelin drummer John Bonham performs a selection of his solo and collaborative work from throughout the decades. Arcada, St. Charles, (630) 587-8400, oshows.com. May 29, 5 p.m. After three decades apart, Rod Argent and Colin Blunstone, two true stalwarts of classy English pop, have reunited under the moniker of their former outfit, The Zombies. Arcada, St. Charles, (630) 587-8400, oshows.com. June 2-12, check website for times. Adapted from George Bernard Shaw’s play, this musical has set a record for the longest run of any major musical theatre production in history. Stage Coach Players, 126 S. 5th St., DeKalb, (815) 758-1940, stagecoachers.com. June 3, 8 p.m. RATT, which pioneered Hollywood’s legendary Sunset Strip sound in the 1980s, is joined by Quiet Riot, famously described as the first heavy metal band to top the pop chart at No.1 on Billboard. Arcada, St. Charles, (630) 587-8400, oshows.com. June 4, 7 p.m. Enjoy an evening of Western Swing, the Honky-Tonk Heroes, the Nashville Sound, the Bakersfield Sound and the Outlaw Movement. Woodstock Opera House, (815) 338-5300, woodstockoperahouse.com. June 4, 8 p.m. The lead singer of the legendary 1960s pop band Herman’s Hermits is a talented entertainer. Arcada, St. Charles, (630) 587-8400, oshows.com. June 5, 5 p.m. From his debut as a jazz-influenced, blues-based artist to his evolution into a pop music iconoclast, singer-songwriter AJ Croce has traveled a circuitous musical road. Arcada, St. Charles, (630) 587-8400, oshows.com. June 5, 3 p.m. Songwriter Julie Patchouli and guitarist Bruce Hecksel return to “Music in the Gallery” to light up the air with sparkling acoustic sounds and their powerful, contagious chemistry. Norris Center, St. Charles, (630) 584-7200, norrisculturalarts.com. June 9 & July 14, 7 p.m. This monthly reading series invites a group of Williams Street Repertory actors and supporters to read from work by distinguished authors each month. Le Petit Marche, 19 N. Williams St., Crystal Lake, (815) 356-9212, rauecenter.org. June 9, 7:30 p.m. This Italian popular singer and Neapolitan singer-songwriter has sold more than 20 million records throughout his career. Arcada, St. Charles, (630) 587-8400, oshows.com. June 11, 7 p.m. An exciting showcase of timeless JSDT repertory classics, audience favorites, new premieres and contemporary pieces for an eclectic performance. Woodstock Opera House, (815) 338-5300, woodstockoperahouse.com. June 17, 6:30 p.m. Join PPFV members and friends for an exclusive outdoor concert around the southern edge of the garden. Fabyan Japanese Garden, Fabyan Forest Preserve, Ill. Rt. 31, Geneva, (630) 377-6424, ppfv.org. June 17-26, Fri. & Sat 8 p.m., Sun. 2 p.m. This play shows how three Jewish widows meet once a month to visit their husbands’ graves, until a budding romance threatens the tradition. Elgin Theatre Co., Kimball Street Theatre, Elgin Academy, 350 Park St., Elgin, (847) 741-0532, elgin-theatre.org. June 17-26, check website for times. This stage adaptation of the novel and film is set in an Oregon psychiatric hospital and serves as a critique of institutional processes, the human mind and behaviorism. TownSquare Players, 121 Van Buren St., Woodstock, (815) 338-5300, tspinc.org. June 24, 7:30 p.m. From the creative team that brought you “Oh, What a Night!” comes a unique tribute show: a celebration of the music of The Beatles, The Beach Boys, The Bee Gees and Motown all in one. Batavia Fine Arts Centre, 1401 W. Wilson St., Batavia, bataviafineartscentre.org. June 24, 8 p.m. This underground rock band delivers its blend of melodic, Beatlesque harmonies, metallic riffing and prog rock detours. Arcada, St. Charles, (630) 587-8400, oshows.com. June 25, 7:30 p.m. The DuPage Symphony Orchestra celebrates our land, our people, and our principles of freedom and opportunity for all. Cantigny Park, 1S151 Winfield Road, Wheaton, (630) 668-5161, dupagesymphony.org. June 25, 8 p.m. As lead vocalist, lead guitarist and songwriter for The Ides of March from 1964 to 1973, Peterik helped to propel the band to the top of the national charts with the classic song “Vehicle.” Part of The National Piano Conference. Raue Center, Crystal Lake, (815) 356-9212, rauecenter.org. June 26, 5 p.m. Join The Chapin Family as they present a musical journey of love, protest and discovery, with more than a few stories and laughs along the way. Arcada, St. Charles, (630) 587-8400, oshows.com. June 26, 4 p.m. An afternoon of Viennese waltz music and dancing led by instructors from Dance Factory. Music by the Lake, Ferro Pavilion, George Williams College of Aurora University (GWC), 350 Constance Blvd., Williams Bay, Wis., (262) 245-8501, musicbythelake.com. June 28, 7 p.m. Experience the adventures of Robin Hood and his Merry Men as they use their wits and wiles to rob from the rich and give to the poor. Part of Metropolis’ Outreach programs, Clearbrook on Cue fosters the creativity of emerging artists with special needs. Metropolis, Arlington Heights, (847) 577-2121, metropolisarts.com. June 28, 7 p.m. The group’s repertoire is eclectic, featuring great marches, music from the movies and Broadway, and traditional concert band favorites. Bring your own lawn chair for the summer outdoor concert. GBPL, Elgin, (847) 742-2411, gailborden.info. June 28, 7:30 p.m. This multiple Grammy Award-winning singer, songwriter and social activist has sold more than 53 million albums and singles worldwide. 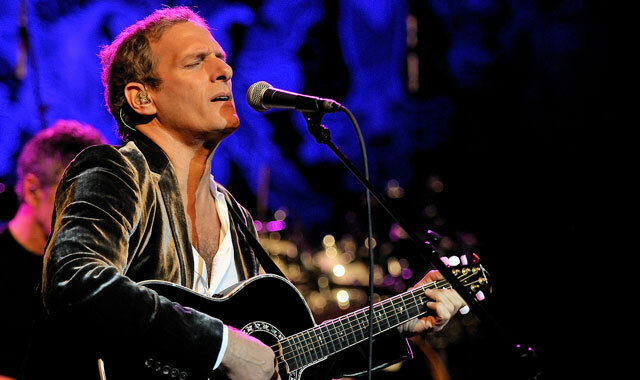 With more than 40 years of performing experience, he continues to tour the world. Arcada, St. Charles, (630) 587-8400, oshows.com. June 30, 7:30 p.m. The New York-based classic rock band tours the U.S. to celebrate its second album, “Hot Streak.” Arcada, St. Charles, (630) 587-8400, oshows.com. July 7-17, check website for times. Set in New Hampshire in 1777 during the Revolutionary War, this play covers a case of mistaken identity, a mock trial and the rebellion of town locals against invading British troops. Stage Coach Players, DeKalb, (815) 758-1940, stagecoachers.com. July 8-31, check website for times. This intelligent, rapid-fire comedy explores the power of art to engage the imagination and the enduring bonds of friendship in the face of the ridiculous. Presented by Williams Street Repertory. Raue Center, Crystal Lake, (815) 356-9212, rauecenter.org. July 9, 7:30 p.m. The drummer and vocalist behind the 1960s pop sensation The Monkees makes his Music by the Lake debut with a special solo appearance. Ferro Pavilion, GWC, Williams Bay, Wis., (262) 245-8501, musicbythelake.com. July 10, 5 p.m. Combining pious pop with up-tempos and deep-blue ballads, this singer delivers with the high-energy, extroverted mood she creates. Arcada, St. Charles, (630) 587-8400, oshows.com. July 10, 3 p.m. This program includes both classical ballet and contemporary pieces by a number of choreographers and an original variation of Les Patineurs (The Skaters) Ballet. Woodstock Opera House, (815) 338-5300, woodstockoperahouse.com. July 10, 3 p.m. A hit in 2011’s New York International Fringe comedy festival, Jeffrey Sweet’s 75-minute solo show explains how the Cossacks almost killed his grandmother and what that has to do with a generation of Jews in American comedy. Raue Center, Crystal Lake, (815) 356-9212, rauecenter.org. July 11-16, check website for times. Join Tortoise, Hare and all their friends as they share their story of determination. Recommended for grades PreK-3. Metropolis, Arlington Heights, (847) 577-2121, metropolisarts.com. July 14, 7:30 p.m. This four-time Grammy Award winner, Rock and Roll Hall of Fame member, New York Times best-selling author and amazing guitarist is best known as the former lead guitarist of The Eagles. Arcada, St. Charles, (630) 587-8400, oshows.com. July 15-17, 22-24, Fri.-Sat. 8 p.m., Sun. 3 p.m. Set on a bare stage, this musical portrays a day in the life of 17 dancers who are all vying for a spot in the “chorus line” of a Broadway musical. July 15-Aug. 6, check website for times. This 90-minute show is, above all, a love letter to the musical theatre – a uniquely American art form – and the joy of collaboration. Presented by Williams Street Repertory. Raue Center, Crystal Lake, (815) 356-9212, rauecenter.org. July 16, 8 p.m. For an intimate evening, this folk/cabaret singer-songwriter takes you on a musical journey of her career, starting with her early influences and leading into some of her own folk songs. Woodstock Opera House, (815) 338-5300, woodstockoperahouse.com. July 16, 7:30 p.m. Postmodern Jukebox is a “musical time machine,” taking multi-generational audiences down a weirdly nostalgic road without ever straying very far from today’s pop favorites. Music by the Lake. Ferro Pavilion, GWC, Williams Bay, (262) 245-8501, musicbythelake.com. July 17, 5 p.m. This Grammy Award-winning recording artist and songwriter has topped pop, country and jazz charts since the 1970s, later focusing on her Cherokee heritage and talent to inspire increased involvement in projects related to Native American music, culture and issues. Arcada, St. Charles, (630) 587-8400, oshows.com. July 21-Aug. 28, check website for times. This musical celebrates the music of Johnny Cash throughout his legendary career, featuring more than 30 songs. Metropolis, Arlington Heights, (847) 577-2121, metropolisarts.com. July 23-Aug. 27, check website for times. From slapstick to sarcasm, from wordplay to whoopee cushions, this highly unscientific survey explores comedy through the ages. Metropolis, Arlington Heights, (847) 577-2121, metropolisarts.com. This entry was posted on Wednesday, May 18th, 2016 at 11:59 am	and is filed under Arts & Entertainment. You can follow any responses to this entry through the RSS 2.0 feed. Both comments and pings are currently closed.